The Election Commission will deploy about 400 expenditure observers, drawn from the IRS and other central services, to check use of black money and other illegal inducements in the Assembly polls in five states. Officials said while 200 observers will be drawn from the Income Tax department stream of the Indian Revenue Service, 150 are from the Central Excise and Customs department of the IRS and about 50 more from other central services. The EC, they said, has had preliminary briefing sessions with these observers and allocation of the state and constituency to each officer has been made. “These expenditure observers will be deployed to check circulation of black money and other illegal inducements during the polls and will be in touch with the EC headquarters in Delhi. “The Commission is committed to have a level playing field during the polls and hence it is essential to monitor the flow of funds, cash and other items that act as bribes to the voters,” they said. The Central Board of Direct Taxes, the policy-making body of the I-T department, has also asked the taxman to bolster their Air Intelligence Units (AIUs) at major airports in these poll-bound states to check movement of cash and other suspect items. “State excise departments and police authorities have been asked to monitor production, distribution, sale and storage of liquor and other intoxicants (including narcotics) during the election process. “The functioning and operations of the flying squads and mobile teams shall be closely monitored using GPS tracking,” the EC said today. The EC has also asked the Financial Intelligence Unit (FIU) to inform it and the I-T department with regard to any suspicious movement of deposits and cash related to these states. The poll panel today announced the schedule for the Assembly elections in the politically-crucial Uttar Pradesh, Punjab, Uttarakhand, Goa and Manipur and the exercise will be held between February 4 and March 8 in these states. While polling will be spread over seven phases in Uttar Pradesh, it will be a one-day affair in Uttarakhand, Punjab and Goa while in Manipur it will be a two-day exercise. Counting of votes in all the states will be held on March 11. 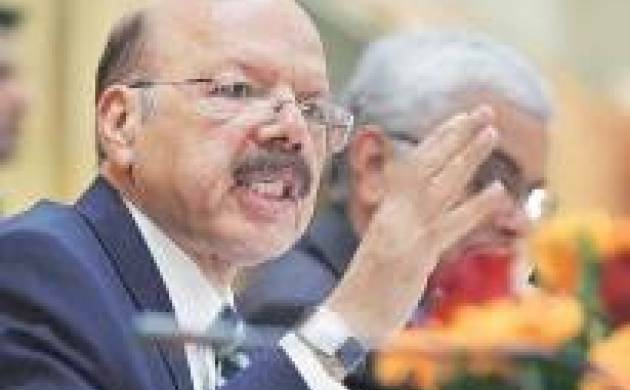 Chief Election Commissioner (CEC) Nasim Zaidi said the Commission will keep a watch on the use of black money, which is expected to come down due to demonetisation, and steps will be taken up to ensure that other illegal inducements are not used to influence voters. The maximum limit for expenses for each candidates in Uttar Pradesh, Punjab and Uttarakhand is Rs 28 lakh, while that in Goa and Manipur is Rs 20 lakh.